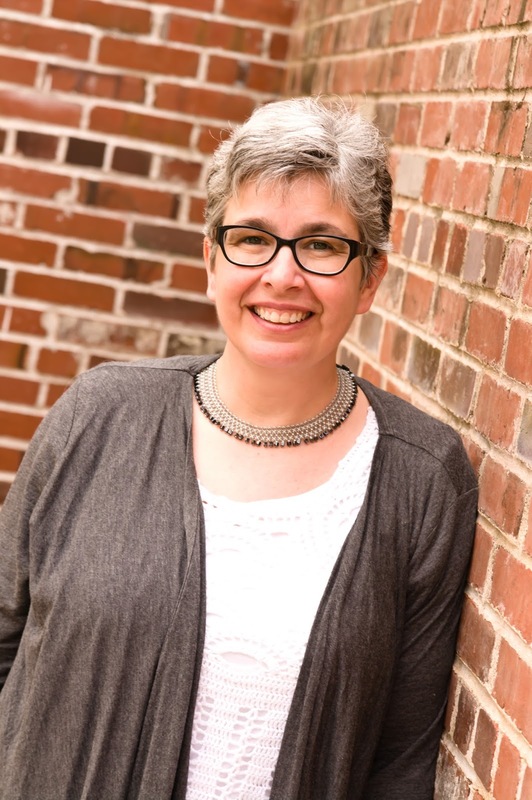 The Writers' Lens: Ann Leckie: Write the "thing you really, really want to write"
Ann Leckie: Write the "thing you really, really want to write"
Welcome to Ann Leckie, author of the Hugo, Nebula, and Arthur C. Clarke Award-winning novel Ancillary Justice, the Hugo and Nebula nominated Ancillary Sword, and the forthcoming Ancillary Mercy. What do you feel is the key to your success? This is a good question, but difficult to answer. I think that in writing (as in, to be honest, quite a lot of other areas) you can do everything right and still not succeed--or at least, not achieve the things you were hoping for or aiming at. So my feeling is, it's better to focus on the things I can control. And to do work that I, personally, find satisfying, the kind of thing that if I saw it on the bookstore shelf (or in a magazine, or what have you) would make me go "Oh, yeah, that's exactly the kind of thing I want to read!" And then to do that as well as I possibly can. Of course, I did (and do) want to sell my work, so I kept an eye on what was being talked about and nominated for awards, and I think it's important to have some sense of what's going on in the field, but not in order to imitate, or to try to do the same things everyone else seemed to be doing. So, on the one hand I don't think there is any particular key to success, in terms of selling a book or it being popular or nominated for awards. On the other hand, I think that my working very hard on what I wanted to do, and making it as much what I wanted it to be as possible, ultimately made it more likely that an editor would be struck by the work, and that readers would respond to it. When and why did you begin writing? I've actually wanted to be a writer since I was quite young. I did write some things in grade school and high school, but in college I felt like most of the ideas I had were stupid, and of course college takes a lot of brainspace up, even if you have the free time to be writing fiction. When I had kids, I discovered very quickly that I could not afford to go back to work--my job didn't pay enough to cover childcare. So I stayed home--and I needed something to do with my mind, and tried a number of things. I did NaNoWriMo, and decided it was time to get serious about the writing thing. What is your writing process? Do you follow a regular routine? Do you use pen and paper or computer? Work at home or at the library/Starbucks, etc. I generally use a computer. I can write fiction longhand, but I don't really like to, I find the words flow a bit more easily when I'm typing. I'm pretty sure that at this point I type much faster than I write anyway. Now, if I'm taking notes, I do that longhand. I have quite a lot of notes, in various notebooks, that often I never do look at again, but writing them down does seem to fix them better in my memory. These days I work at home more often than not--my husband built me an office in the basement, and it's got all my books and a nice big desk and an ergonomic keyboard that I like very much. But early on, I went every day to Starbucks, to the point that the baristas knew me on sight and what I would order. Working away from home has a big advantage--all the stuff at home that you know you need to do, it can't distract you, you can't say to yourself "I'll just get up for a moment and flip the laundry" and then hours later still be doing things to avoid writing. It's a weird thing, that we want so badly to write and quite possibly would happily leave the laundry for another day if we weren't writing something, but I've found it's very common among writers I know. Writing away from home also has the advantage of taking you physically away from other family members who might interrupt or distract you. Even if your family is one hundred percent supportive, it can be difficult for people to refrain from talking to you or asking questions or figuring they'll just take one second, no big deal, and blowing your concentration. So if that's a problem for you, setting up a regular time to get a coffee and do some writing can really help a lot. I started out using a program called Rough Draft, which I liked, but later moved to just working in Word, on a standard manuscript format template. In science fiction and fantasy, at least in short fiction, standard manuscript format is pretty much unchanged from forty or fifty years ago, when it was assumed you'd type your stories physically on a typewriter and there was no choice of fonts, or any formatting beyond adding proofreaders marks to the typed page. So I set my default template to 12pt Courier, double spaced, and underlines for italics, and after a while it just seemed natural to write that way, and it feels weird to compose something in, say, Times New Roman, or single spaced. In theory I see the kids off to school, load the dishwasher and make myself a cup of tea, and sit down at my desk and write at least 2000 words for that day. In practice, this doesn't always happen. And sometimes I'm not in a writing phase--usually with a project I need to do a fair amount of research before I can even start, and so I substitute going to the library or reading whatever books I've checked out for that morning writing session. Sometimes real life intervenes and there's no helping it. And sometimes I'll be stuck in the middle of a project and really just need to stop and ponder and maybe read some things. This used to bother me quite a bit--I didn't seem to be doing anything productive during those times! But I've come to see them as part of the process, and I couldn't move forward without them, so when they come I figure it's best just to embrace them and try to figure out what it is the back of my mind wants so it can get back to the story. How do you deal with rejection and/or negative reviews? Rejections are hard! So are negative reviews, honestly. But rejections are part of being a writer, and if you're getting reviews at all, that means someone is reading your work. Since I spent several years doing short fiction, I got pretty accustomed to rejections, and they honestly never got any easier, but I got better at handling them. First of all, I made sure that as soon as a story went out on submission, I knew where it would go next, when (not if) it was rejected. So that when the rejection came in, I could just queue up the next submission email, send it off, and then allow myself to sulk a bit. Reviews, well, there's no next sub involved there. But it's not much different. I might sulk a bit, or complain to my writer friends who understand what it's like, and have their own days when they need me to listen to them and reassure them. And the sting fades after a bit. I do personally think it's important to acknowledge those feelings. It's normal to feel them, and part of being a writer. And I think it helps, to be able to say, "Yes, I'm feeling hurt because this reviewer dissed my book. But, you know, I've felt this before and it will go away." As bad as it feels, it's not a defining fact of your life, that bad review or that rejection. The bad feeling makes it seem much bigger than it is, but if I name it and sit down to have tea or chocolate or a nice bath or something, I can put it back into its proper proportion. Do you have any advice for other writers? Always follow the submission guidelines! And write the thing that's in you to write, the thing that's yours, the thing you really, really want to write. Take advice, yes, consider whatever critiques or advice you get, but in the end only take the advice you think will make your piece what you want it to be. Where can readers find you online? 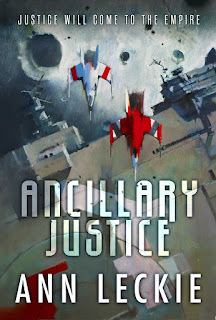 My website is http://annleckie.com and my books are available pretty much anywhere that sells books--certainly Amazon, B&N, Kobo, indiebound, etc. 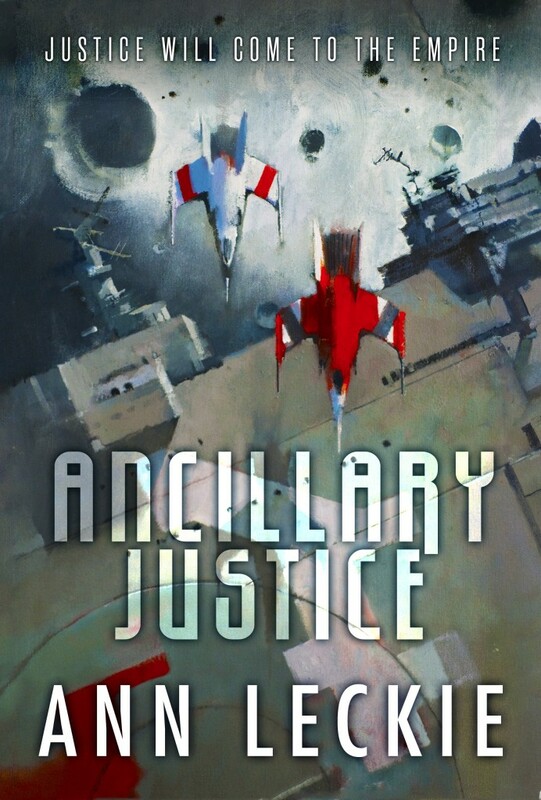 ANCILLARY JUSTICE: On a remote, icy planet, the soldier known as Breq is drawing closer to completing her quest.